Notes for the Road: Walk Georgia Blog | Adult Swim: Come on in! Ah, the dog days of summer are upon us. What better way to cool off and move more than with a quick swim? Our family enjoys belonging to a community pool, and I especially love including outdoor swimming in my fitness routine. However, I must admit that I’ve been baffled to be the only adult who takes advantage of the hourly 15- minute ‘adult swim’ time at the top of each hour. At first I thought maybe the water is not warm enough. But, after many summers of loyal community pool use, I’ve seen firsthand that very few fellow adults partake in the long-standing tradition of adult swim. 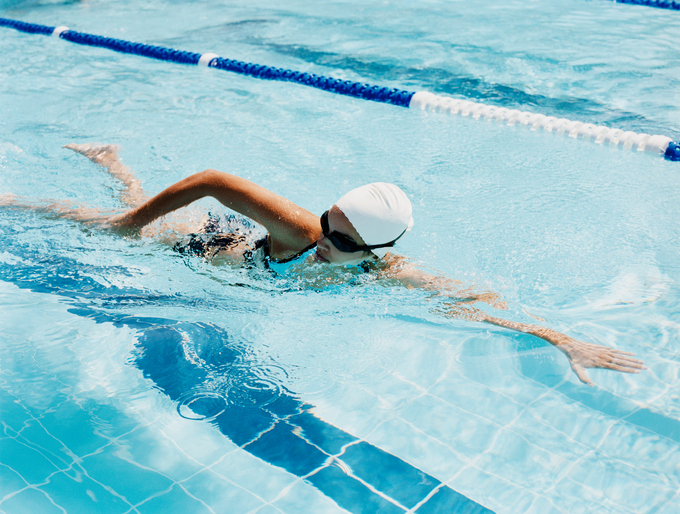 I am sure there are many reasons — such as having to watch young children and being tired after a long day at the office – but there are few things that refresh me more on a hot, long day than diving into a pool and swimming a few laps. If you haven’t tried it yet, grab some goggles and see what you think. You may be surprised how much you enjoy the time in the water, whether it’s a pool, lake or ocean. Don’t let me be the lone adult swimmer another summer! Posted in Featured. This entry was tagged exercise, health, healthy, heart health, nature, pool, swim. Bookmark the permalink.